We had been anxious to get Steve’s newly acquired canoe wet for sometime. The only questions were, “where to put in?” and “how to find the time to do so?” Because we found ourselves near the halfway mark of the summer season, we knew the favored Ozark streams would potentially be packed with the pop-top kind of crowds. Getting familiar with Mingo, which lies near Puxico in south-east Missouri, had been near the top of my list for sometime. The opportunity to do so during what might be considered the most mildly pleasant summer of our lives made the decision easy. On what was to turn out to be a perfect July day, I was on the road at 04:00, breaking my fast with an apple, granola bar, and French press that I prepared the night before. Arriving at Steve’s promptly at 05:30, I found he already had his Dagger Legend canoe tied into his tiny Toyota Tacoma – a somewhat comical appearance. We hit the road and it worked out great. We were in the water within ditch number five by a little after 08:00, paddling slowly northward towards Monopoly Marsh, the true Wilderness of Mingo. 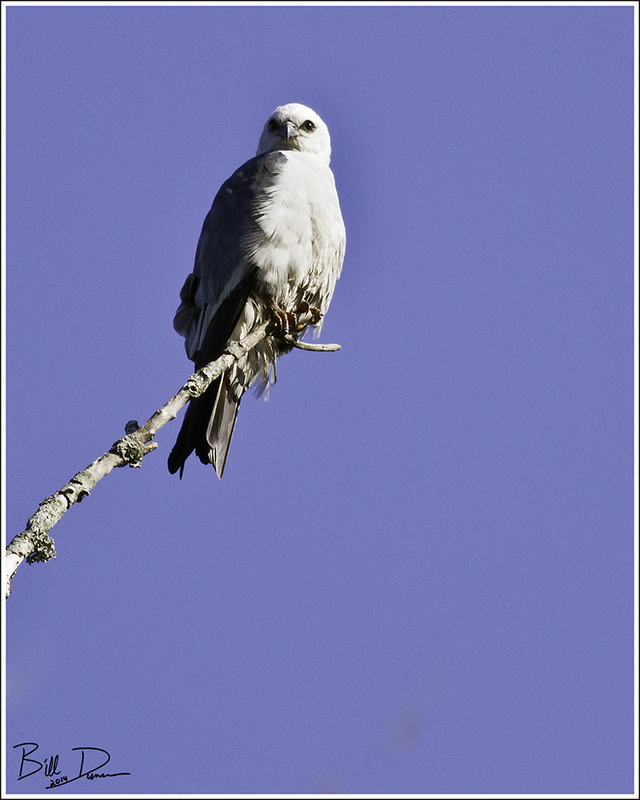 In less than fifteen minutes we spotted our first wildlife find of the day, this perched Mississippi Kite. This was my first experience of the fact that Steve had previously explained; wildlife react differently to humans in the water than they do to people on land (a learning that caused me considerable agitation throughout the day). We were able to glide right under this spectacular bird without disturbing it. Not knowing how long I might have, I burned through nearly half a memory card before being satisfied. Other birds of note in our list, which grew to near 60 species by the end of the day, were Acadian Flycatchers, Yellow-billed Cuckoos, Wood Duck, Yellow Warbler, and Canada Geese. 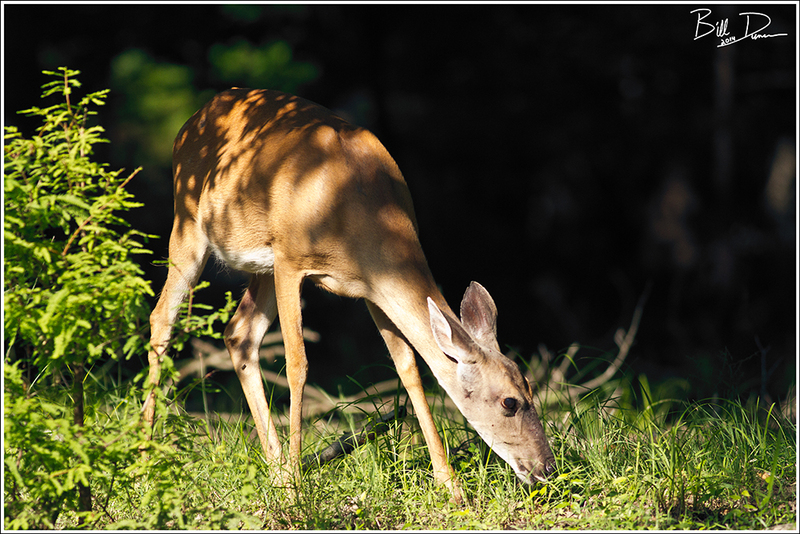 In October, 1976 Mingo and Hercules Glades Wilderness areas became the first of the officially designated Wilderness Areas in Missouri (1). 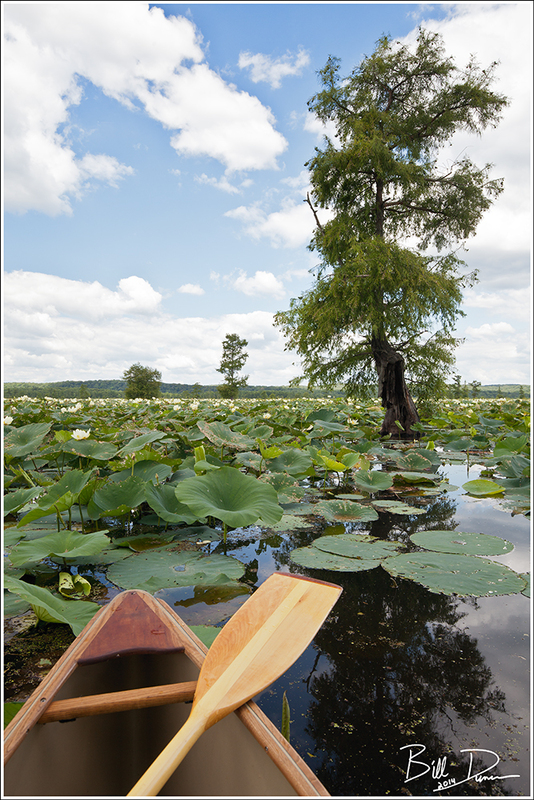 At over 22,00o acres, Mingo is the last significant remnant of swamp and marshland in Missouri, which prior to European settlement were the primary habitats in the Missouri boot-heel. Mingo was named for the mixed tribal peoples known by this name that were composed of assorted Iroquian tribes (2). Oh, how I wish I would have had a medium-zoom lens on this trip. I was often too close to take an image of any kind. Oh well, enough about this, just learning for the future. 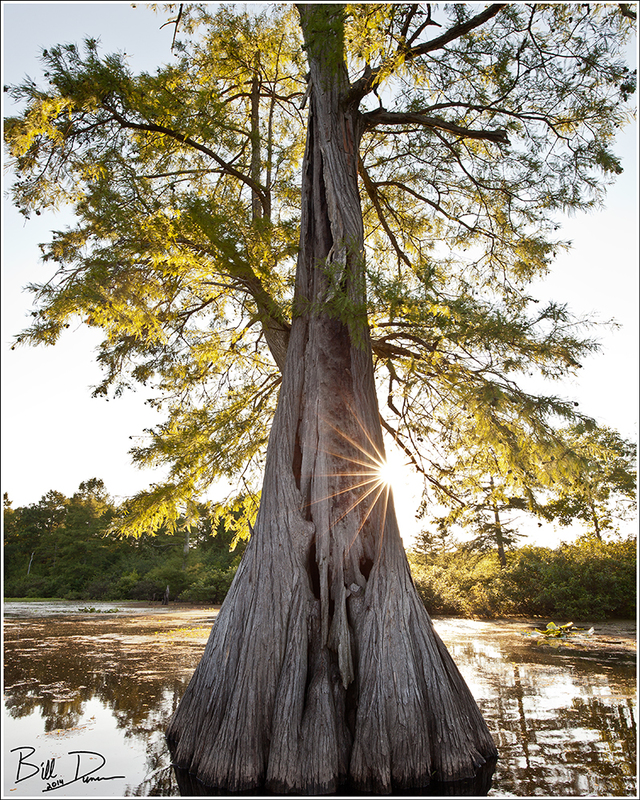 We continued following ditch number five, with the flooded hardwood forest of bald cypress, tupelo and assorted oaks on one side of us until we came upon the clearing known as Monopoly Marsh. 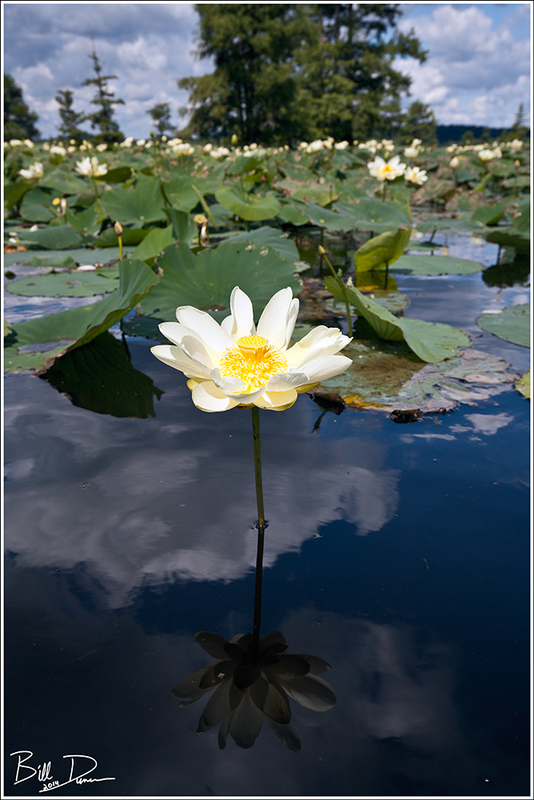 We knew that by this late into the green season the marsh might be impenetrable due to aquatic vegetation such as American Lotus, which we found in peak bloom. For the most part we were able to make our way around well enough, although much of the marsh would have been quite difficult to navigate by paddle. 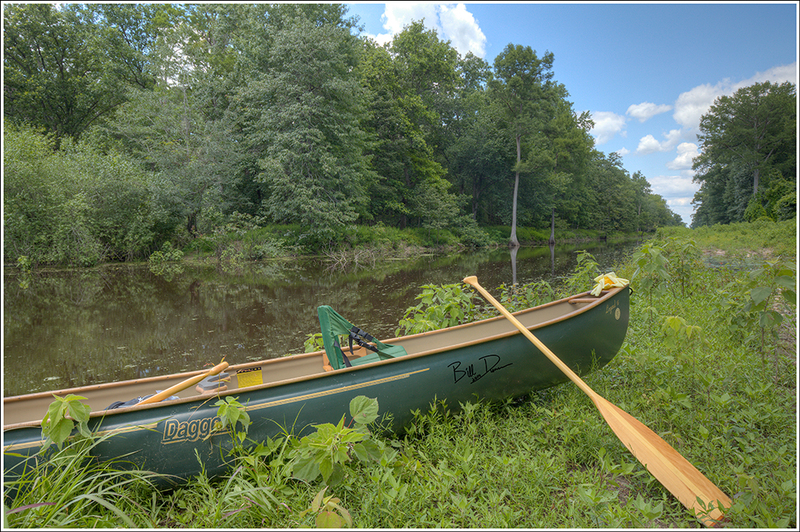 An auto tour route is available that gives access to the refuge area, but the only way to see the Wilderness is by boat. The Wilderness act of 1964 put into law that no motorized equipment can be used within a Wilderness area. It was interesting to hear the staff in the Refuge Visitor’s Center say they could only use hand tools to cut through tree falls across waterways in the Wilderness. I suppose this also means to not expect helicopters or ATVs to come to the rescue in case of emergency? White-tailed deer where more numerous than the raccoons. The refuge is more popular for the opportunities for waterfowl hunting, although I believe at least a couple managed dear hunts are conducted each year. 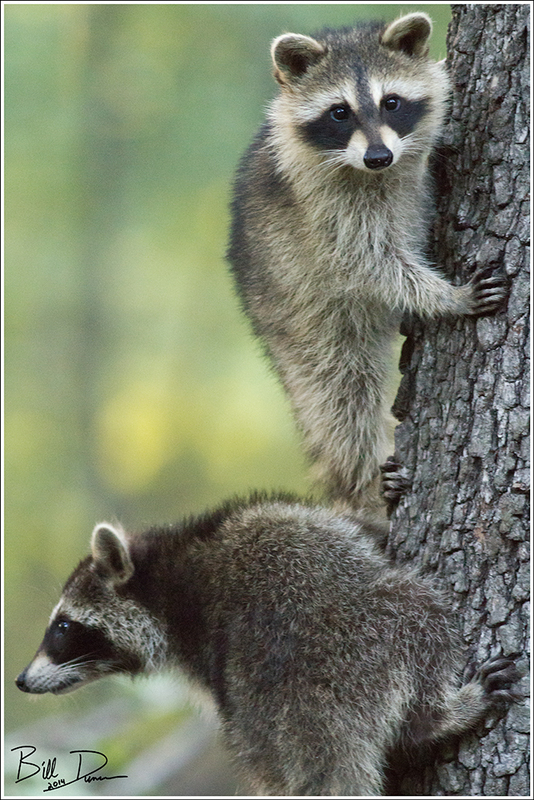 However, without true predators, it seemed to me that the wilderness area was already being potentially overrun by these animals. We pushed groups into flight nearly every ten minutes along the waterways. 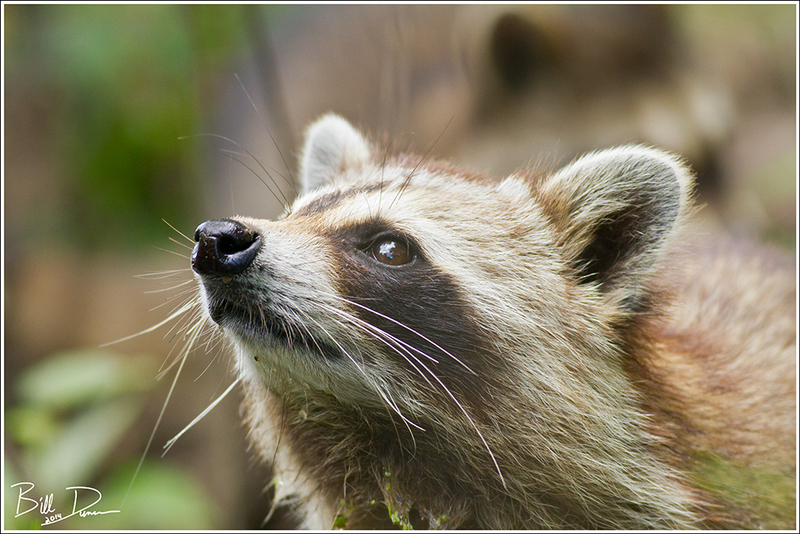 Did I mention all the raccoons? 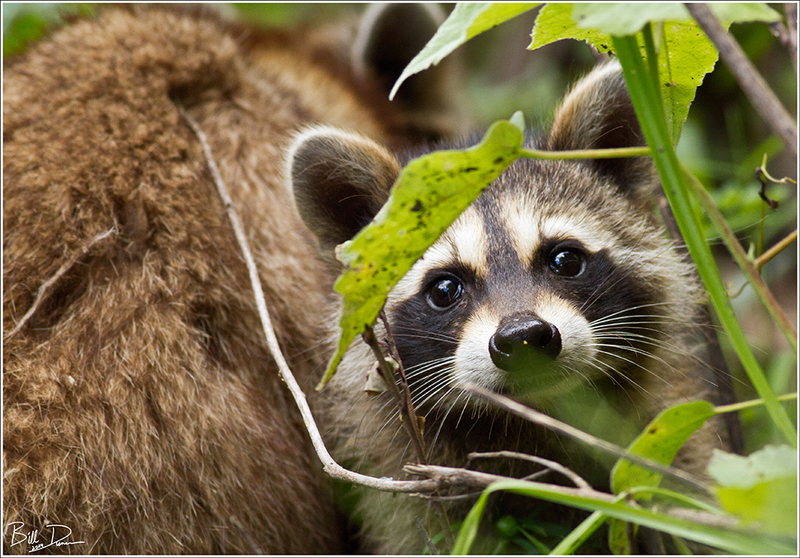 Mammals and birds are definitely not the only groups of animals that thrive in this Wilderness. Reptiles and amphibians are quite abundant and are probably second only to the insects in shear biomass. 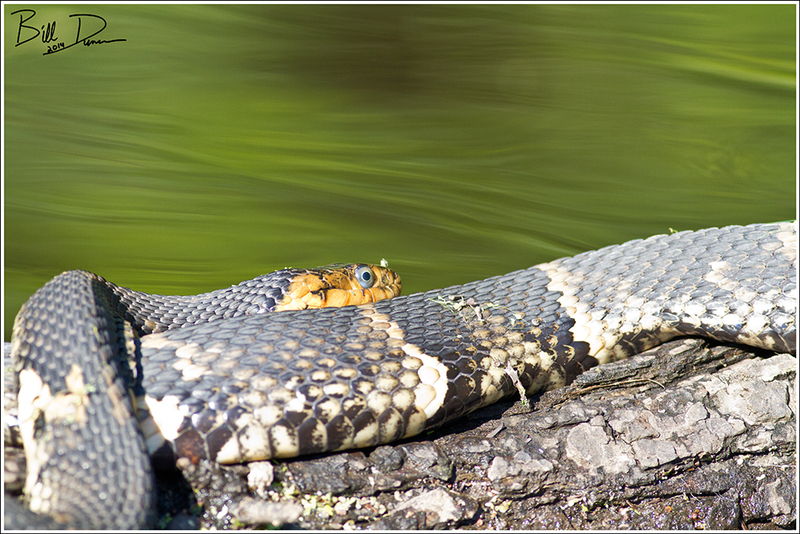 We glided gently passed this Broad-banded Water Snake, which feeds on other reptiles, amphibians and fish. While in Monopoly Marsh, we stopped under a couple of well-placed cypress in order to watch one of the year-long resident Bald Eagles soaring overhead. After going about as far into the Marsh as we dared try from the south, we headed back to our put-in and had some lunch. Already the day was worth every bit of respiration, but there was so much more to come! After lunching on the best hippy food Mother Earth provides and paying an entertaining visit to the newly constructed Visitor’s Center, we decided to put it at Stanley Creek. Here we planned on heading downstream and then up into the marsh again via the Mingo River. 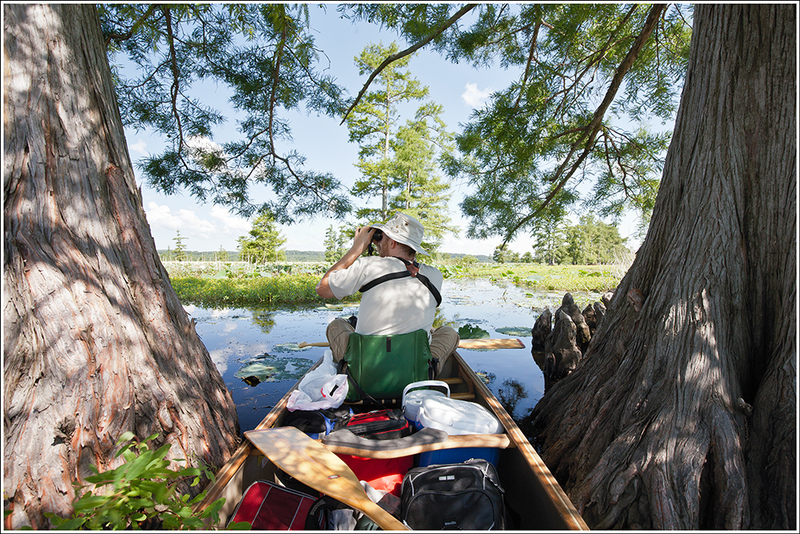 A GPS or good map skills are critical in finding your way in this area by boat. We paddled down Stanley Creek with much ease, due to the nearly non-existent currents within these streams. It was in this section that we came upon the highlight of the day for me and one I will never forget. 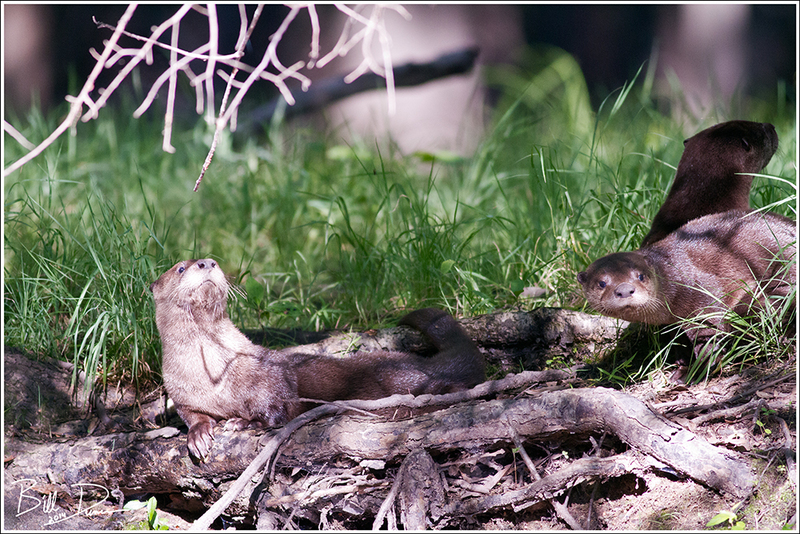 River Otters!!!! 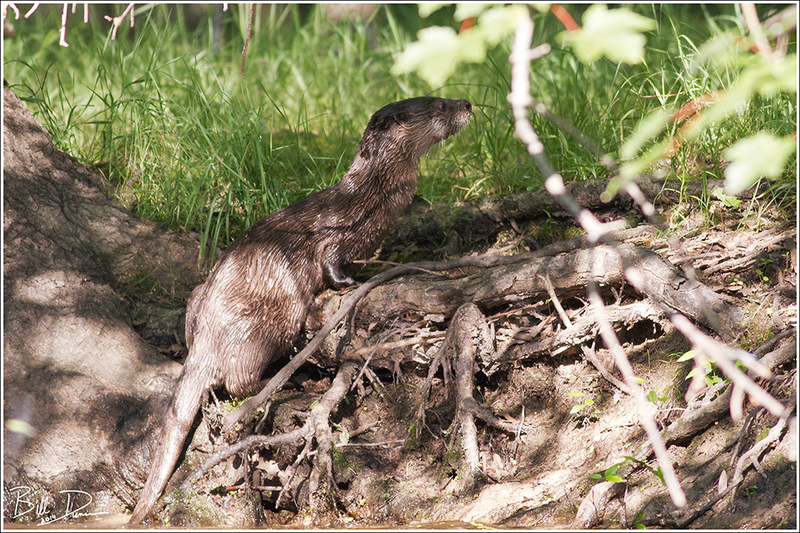 Along a dry bank, almost perfectly eye-level to where we sat in the canoe, we watched a mom and four otter cubs. I tried my best to capture what Steve so wonderfully described as a “collective ball of play”, but mostly struck out due to their non-stop activity and the fact that they were often obscured by vegetation. It was quite the experience. We let our momentum move us slowly closer to the bank, watching as play was interrupted by periodic rests and grooming opportunities. Whether due to poor eyesight or that we were mainly a floating log that was downwind, we were quite surprised how close we were able to drift without the alarm being raised. Finally, we put on the breaks and maintained our distance to take in the show. Once in a while the play would evolve into a slide into the water by one or two of the animals, followed by heading back onto the land, not to stray too far from mom’s protective gaze. 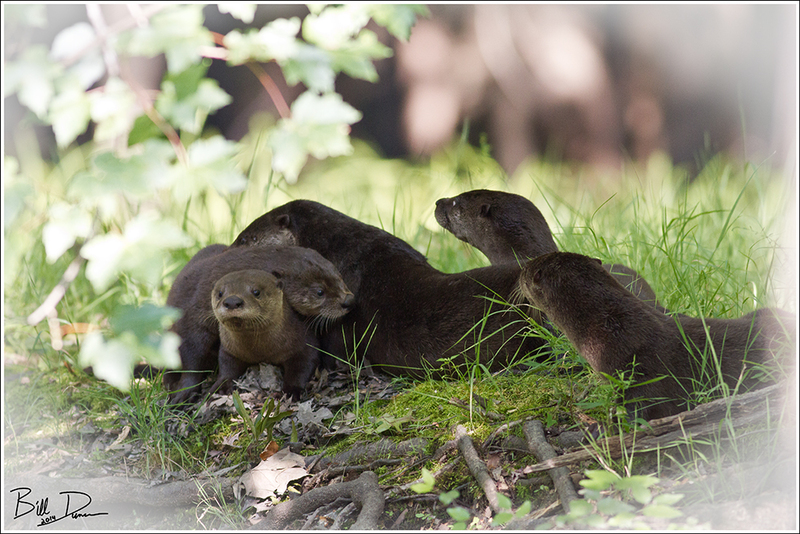 The history of the River Otter in the Show-me State is, of course, terrible and controversial. 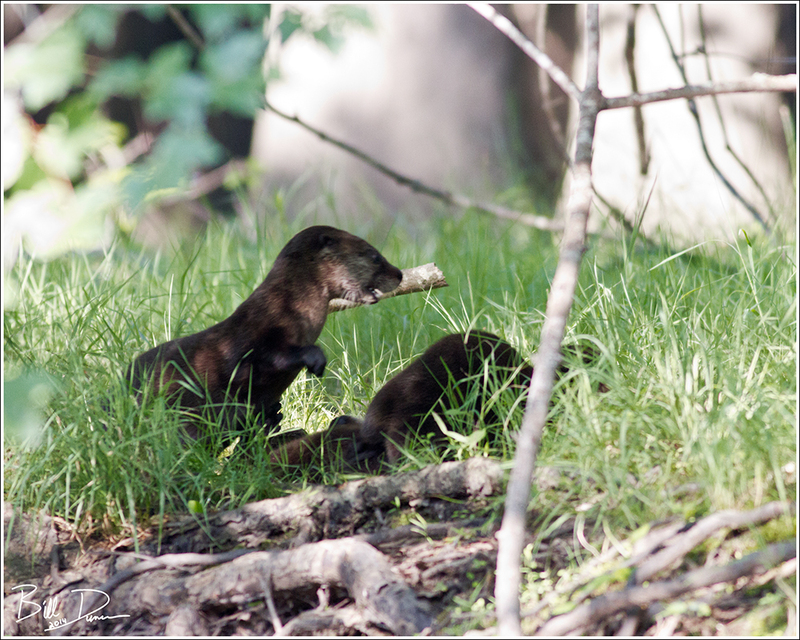 Between the 1930s and early 1980s otter numbers hovered somewhere between 30-70 animals, due primarily to the loss of marsh and swamp habitats like those of Mingo and because of over-harvesting by the fur industry. 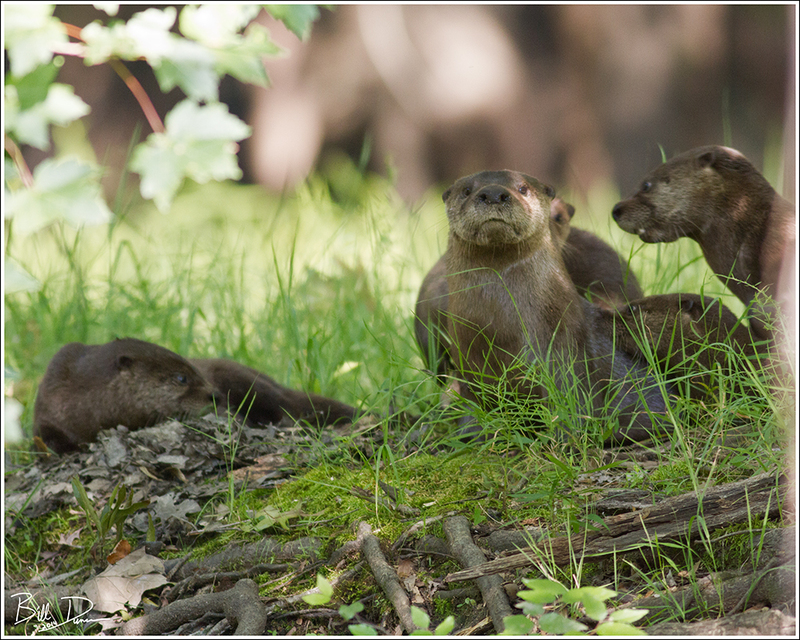 Following the River Otter being classified as endangered in Missouri, the Missouri Department of Conservation finally began a restoration project in 1982. 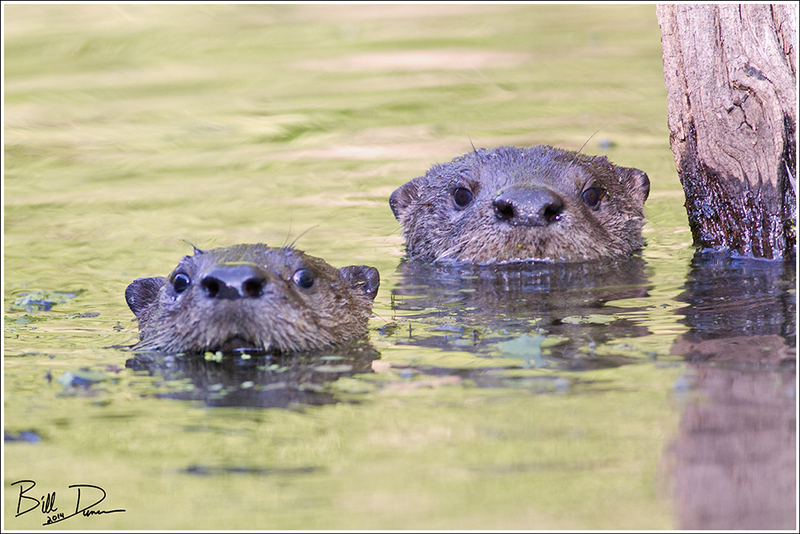 This was considered a success as River Otter numbers rebounded into the 1990s. As the animals searched outside their minuscule and not-increasing natural habitats, they discovered that other animals, such as one of their primary prey items – fish, were also being stocked by man (3, 4, 5, 6). Finding easy prey in stock-ponds, the population grew even more. 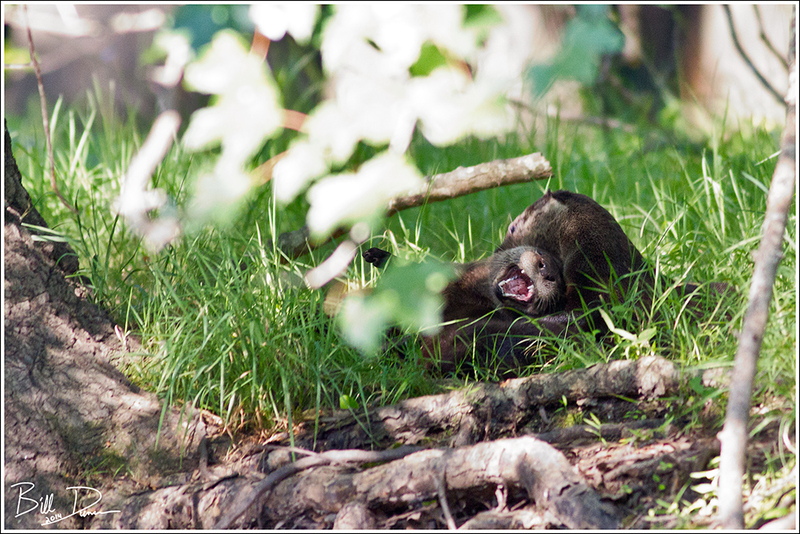 Unsurprisingly, the naked apes could no-longer put up with a species trying to compete with its sport and maintenance of the Missouri River Otter population began via a trapping season in 1996. Destruction of commercial stock fish ponds and natural fishing holes along with the usual claims of “property damage” were used to justify the change from restoration to management. Please don’t get me wrong, I have nothing necessarily against hunting or trapping, especially when we have exterminated all the original predators long ago. However, I cannot see justification in this day and age for the hunting season on any predator in this country. Finally, maybe from the odors of so many digesting fruits, 😉 the jig was up. We were spotted and all five animals headed to the water. The next two minutes was like being in some sort of reverse “whack a mole” game. 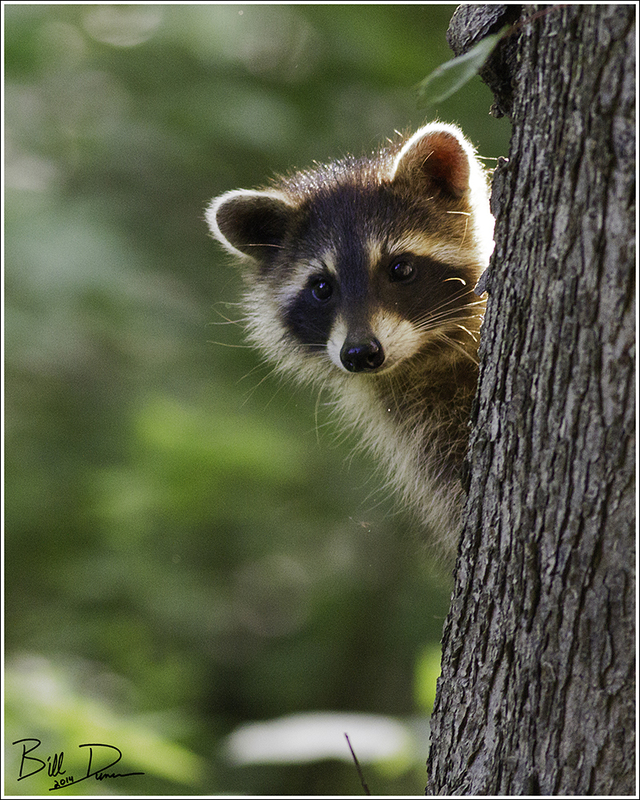 The pups, sometimes getting within 6-8 feet of our boat, would pop their heads out of the water just long enough to get a look before disappearing. Mom, keeping a greater distance, would snort and snap at the water, throwing splashes in our direction. In the photo below, you can see a curious pup immediately in front of mom’s suspicious private eyes. Finally, just when we started to worry if we should be worried, the entire group disappeared. We watched them briefly as they resurfaced downstream about 25 yards. After getting ourselves together, we portaged the boat over Flat Banks Rd to continue into the marsh. 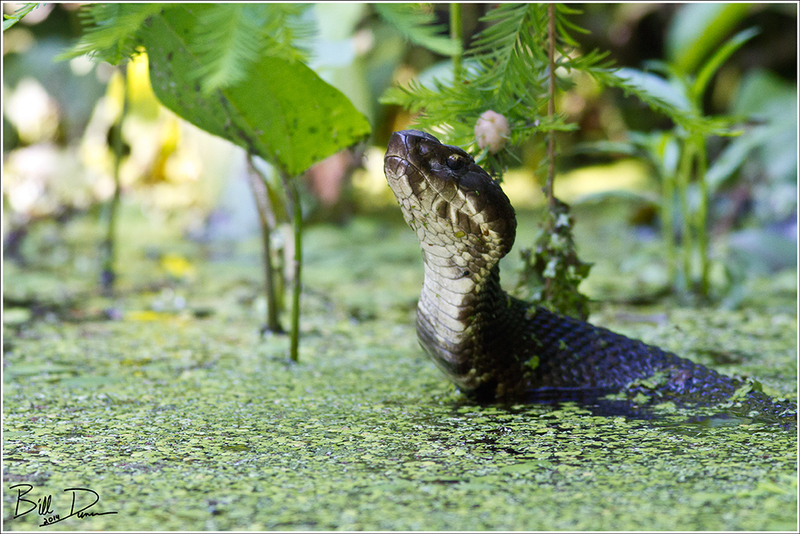 Just prior to getting into the marsh, we spot this handsome Cottonmouth. We slowly followed the snake as it swam along the bank. I heard some sort of whimpering coming from the back of the boat, but that fell silent with a dull thud when the snake raised its head and looked back towards us. Remembering that these guys can be a little more curious, or potentially aggressive when in the water, I called for reverse engines, rather than gaining a new passenger. 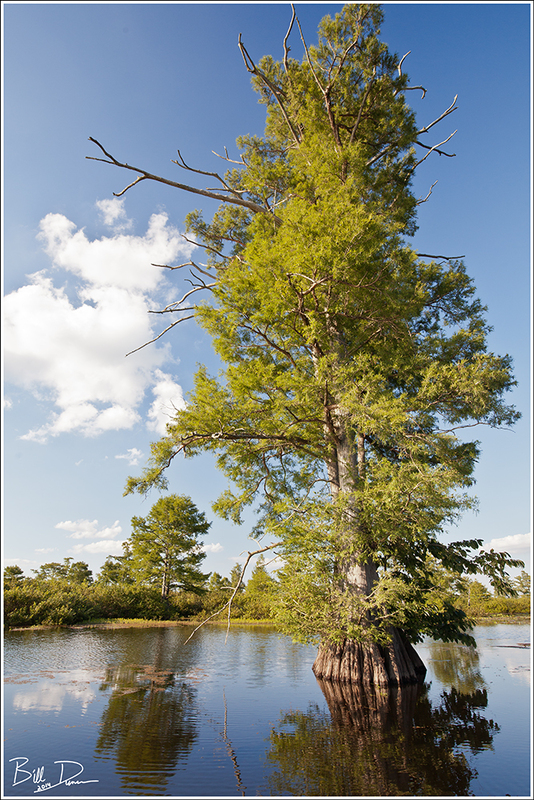 Arriving into the marsh from this direction got us up close to what must be some of the oldest living organisms in Missouri. Hooded Mergansers, Belted Kingfishers and Barred Owls were some of the creatures keeping us company as the sun began to fall. We arrived just in time to tie the boat on to the vehicle before last of light. Just before we did, we observed that the night shift was checking in. 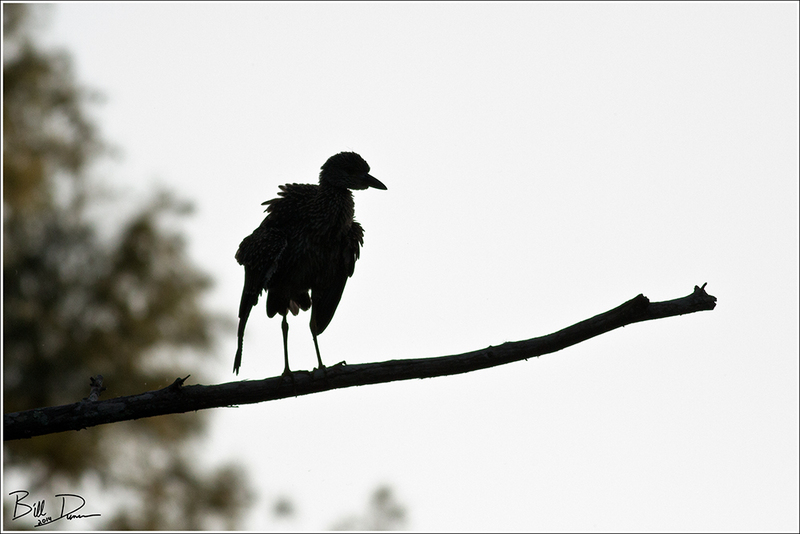 This juvenile Yellow-crowned Night Heron was preening and stretching on an overhead snag. Well, that’s all from Mingo for now. These being the highlights from a single day, I can’t wait for another visit! 1) Farmer, Charles J. “Unspoiled Beauty – A Personal Guide to Missouri Wilderness”, University of Missouri Press, 1999. 3) Schwartz, Charles J., Elizabeth R. Schwartz. “The Wild Mammals of Missouri – Second Revised Edition”, University of Missouri Press and Missouri Department of Conservation, 2001.